Stonewall Inn co-owner Stacy Lentz: "The tide is turning." Guinness pulled its sponsorship of the New York City St. Patrick’s Day Parade held Monday because of the organizers’ alleged exclusion of gay-rights activists from the event and censorship of pro-gay messages. Now, "everyone is drinking Guinness," said Stacy Lentz, a co-owner of The Stonewall Inn, who noted that the bar’s $10 Guinness and Jameson special almost didn’t happen. The locale widely acknowledged as the launching point of the gay-rights movement had planned to cease selling Guinness and empty it en masse in front of the bar on Monday had the brewer not ended its sponsorship of the parade, Lentz told PRWeek. "The tide is turning. People feel very differently," Lentz said, adding that those who still resist inclusion are "going to be on the wrong side of history." The Stonewall Inn and GLAAD worked together ahead of the parade, she added. 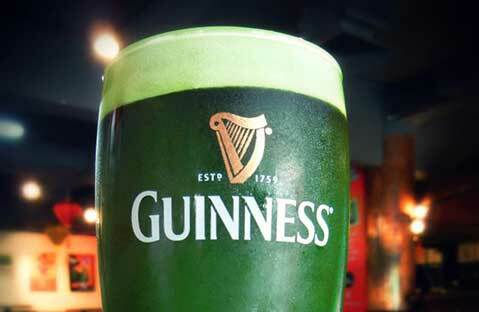 Guinness was the third brewer to pull its sponsorship, along with Heineken and the Boston Beer Company. The brewer of Samuel Adams refused to sponsor St. Patrick’s Day parades in both New York and Boston in light of the same issue. Boston parade organizers excluded gay-and-lesbian-rights activists – specifically a group called MassEquality – from the event. According to The New York Times, any gay person planning on marching in the parade would have been prohibited from toting signs or identifying their sexuality. "Guinness has a strong history of supporting diversity and being an advocate for equality for all," the company said in a statement. "We were hopeful that the policy of exclusion would be reversed for this year’s parade. As this has not come to pass, Guinness has withdrawn its participation. We will continue to work with community leaders to ensure that future parades have an inclusionary policy." Ford is the singular remaining major sponsor of the New York City parade, said Lentz. Guinness’ decision caught traction on social media, where supporters as well as detractors expressed their views. New York City Councilman Mark Levine tweeted, "Guinness, Heineken, & Sam Adams drop sponsorship of exclusionary St. Pats Parade. Come on Ford, what's your problem?!" along with a link to the Times’ article. Organizers of the event did not immediately return requests for comment. Neither New York City Mayor Bill de Blasio nor Boston Mayor Marty Walsh marched in their respective city’s parades in protest. Marching openly in the parade was never about anything other than being included as other groups are, said Lentz. She said she counts the united front put up by the cities’ mayors and three beer companies as a victory for the LGBT community. "It really sends a message – gay and lesbian and transgender dollars do matter," she said.